Mustard seeds (partly crushed) – ¼ tsp. Ginger powder – ¼ tsp. 2. When the rice is simmering, add beaten curds, salt, partly crushed mustard seeds and ginger powder. Mix well till the ingredients are blended well. 3. Allow it to cool and serve as required. 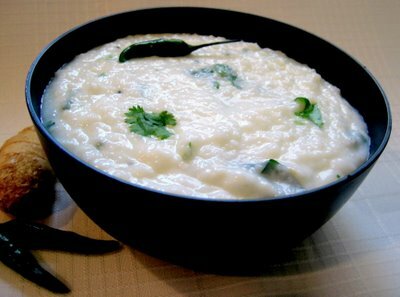 Bhaat(Khatto) is served at room temperature or chilled depending on personal preference. It is one of the traditional items eaten during Thado. However, this preparation can be made anytime and makes for a light meal.